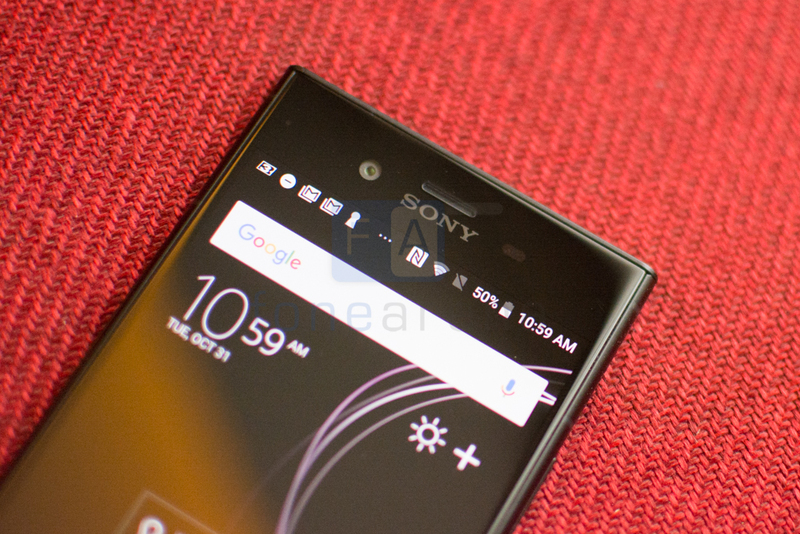 There’s a thing to be said about Sony smartphones. Staying true to their vision, the company hasn’t been swayed by the latest trends, fads and well, the competition. Some might say that they are starting to look ancient when pitched against the latest innovations hitting the market but perhaps there’s a merit behind playing safe? Having spent some time with the phone, let’s try and answer that question. Here’s our review of the Sony Xperia XZ1. Face it, Sony hasn’t been breaking new ground with design for quite some time now. 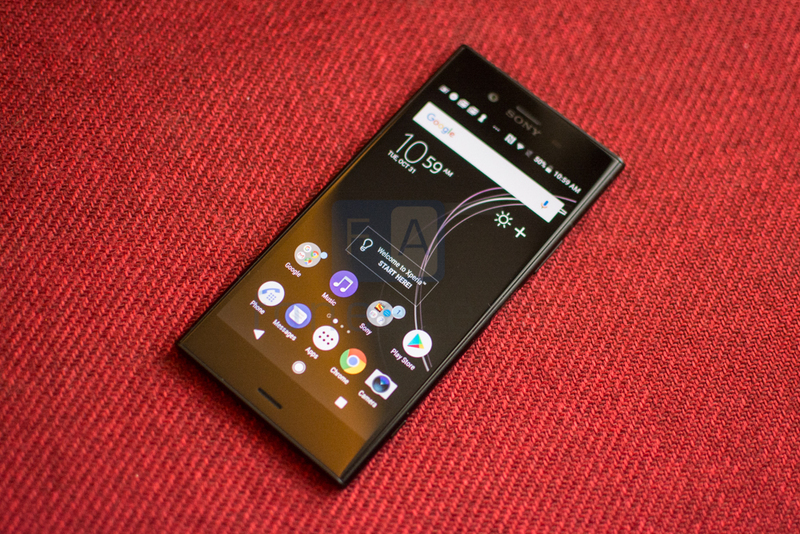 The Xperia XZ1 is an iterative update over the design that Sony pioneered a couple of generations back. That’s not to say it is ugly of course, the design continues to hold up and the XZ1 is a handsome albeit slightly boring looking phone. The Xperia XZ1 has a 5.2 inch display set within a sea of bezels on all sides. Less noticeable on the black variant of the device, there are no two ways around the fact that in an abundance of futuristic, bezel-less designs, the XZ1 looks positively last gen. On a more positive note, the ergonomics and build quality continue to be great.The phone is equipped with Gorilla Glass 5 for protection against accidental scratches and drops. The buttons have good feedback and the power button doubles up as a fingerprint scanner. This position is for the most part, used only by Sony and serves as a very interesting middle ground between the dilemma of ruining the front or rear design of the phone. Oh and don’t forget that there’s a camera shutter key along the bottom edge. Sony’s flagships remain perhaps the only high-end devices that provide this feature and we’re thankful for it. A physical button always feels superior to an on-screen shutter key and this particular button feels really good indeed. On the left-hand side under a slot, you’ll find the SIM card and hybrid memory card slots. 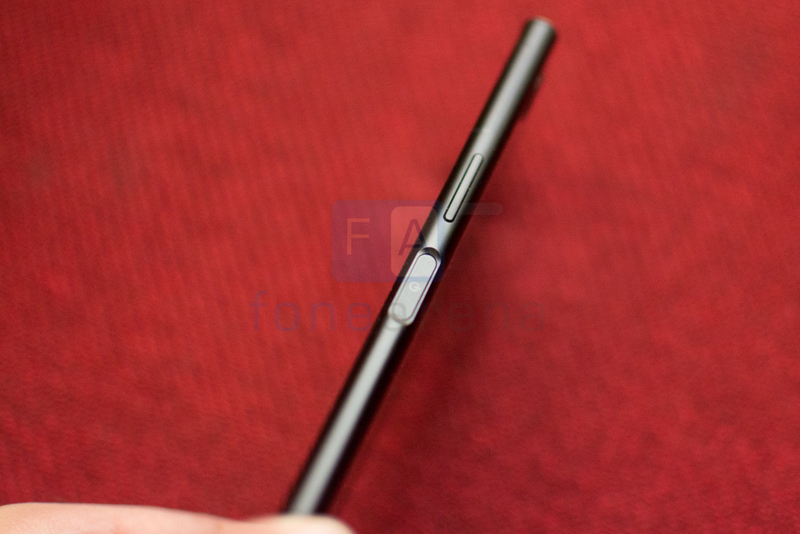 There’s a nice design flourish towards the top that integrates the antenna lines. Along the bottom edge lies the USB Type C connector while the headphone jack is at the top. Talking about the edge, there’s a gentle curve all around now because of which you can’t make the phone stand up on its base. It’s not a deal breaker at all but the flattened edges added a certain sharpness to the design language. 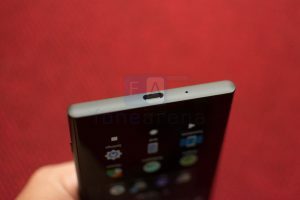 Sony labels the XZ1’s design as a continuous and seamless metal loop. Indeed, the metal frame curves along the edges and continues all the way around the back. The texture of the metal along with the choice of colors makes the XZ1 stand out like no other. No matter what you say about the design, it’s hard to find fault with the really high-quality materials used here. The entire device exudes luxury and feels great in the hand. 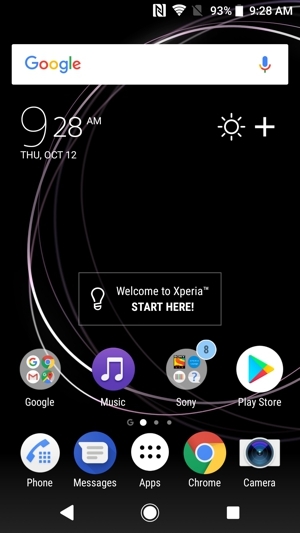 Minimal Xperia branding lies along the center while a camera module protrudes out along the top-left corner. A centrally placed cut out hides the Dual LED flash, Laser Auto Focus and NFC chip. 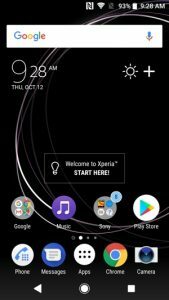 One of the non-Google smartphones to ship with Oreo, the Xperia XZ1 gives us a glimpse of what a less-than-stock build of Android 8.0 looks like. Despite being on bleeding edge software, the Android built on the XZ1 doesn’t look very different from what’s been available on the company’s phones for years now. The phone ships with a large number of pre-loaded apps including Playstation, 3D Printing as well as a number of Sony’s services. A large number of these can only be disabled. On the flip side, not all of these are terrible, the PlayStation app for example will let you remote play games from your PS4 on your phone. The 3D Printing app too is an extension of one of the advertised capabilities of the phone. 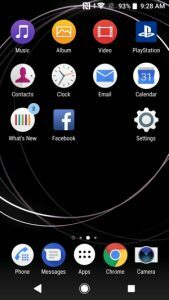 Preloaded applications aside, the interface is very easy to use and doesn’t make superfluous changes to the UI paradigm. Certainly, there’s no effect on performance and usability. 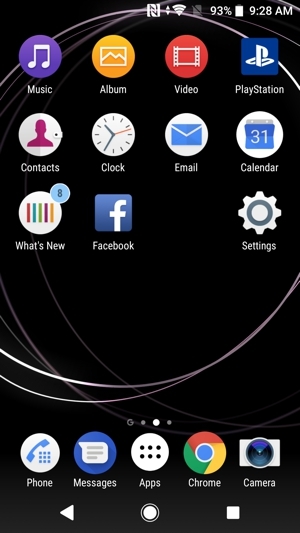 Swiping in from the lock screen drops you into the home screen that displays widgets and app icons. 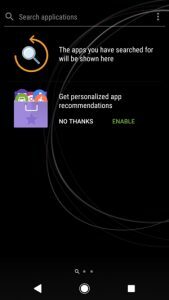 A shortcut tray sits at the bottom and tapping the launcher button will drop you into the extended suite of apps. 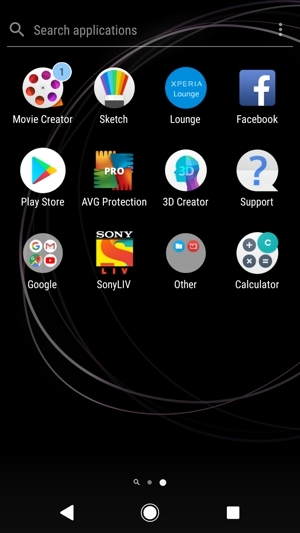 You even have the option to search through your app list at the top of the app drawer. Tapping the bar shows your recent searches and also displays similar app recommendations. Thankfully this can be switched off. 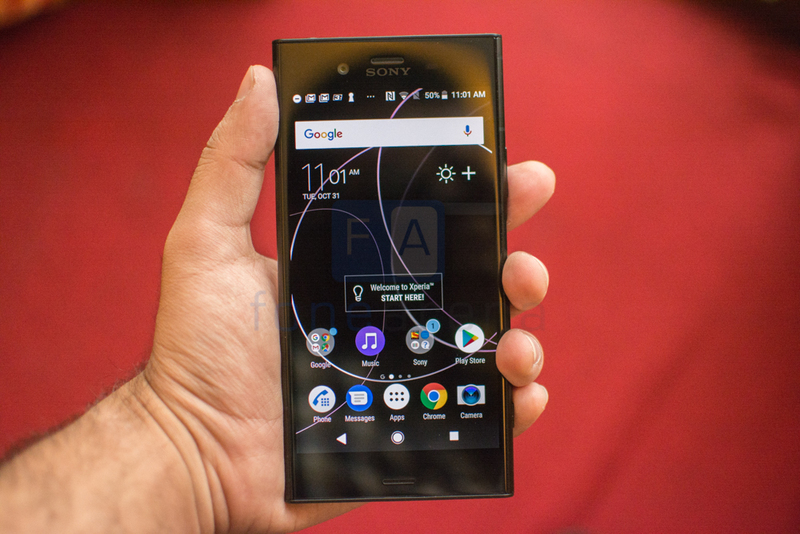 Looking at the spec sheet, the Xperia XZ1 should be able to handily compete with its peers. A Snapdragon 835 chipset and 4GB RAM is as good as most of the competition and helps the XZ1 run along at a fast clip. 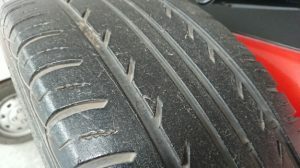 Nowhere did we come across any slowdowns. The phone feels as smooth as the latest Pixels and the lower screen resolution likely helps with this. 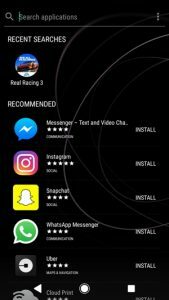 Games like Asphalt 8 and Real Racing are a joy to play because of the silky smooth performance on offer. Sony has does a good job with the thermals on the XZ1 and the phone doesn’t heat up drastically despite extended gaming. 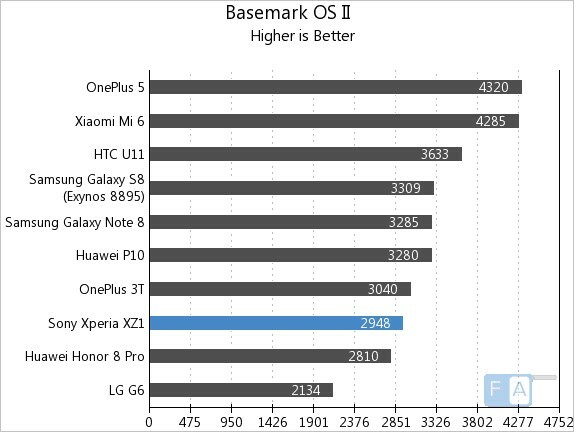 We’ve included some synthetic benchmark scores below if you want to see how the XZ1 stands next to the competition. 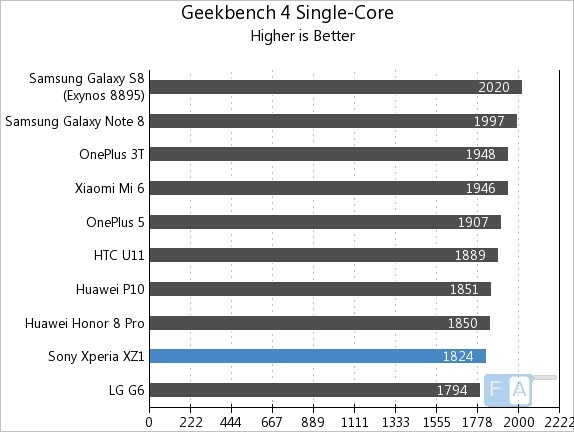 In Geekbench 4, the XZ1 scores 1824 points which isn’t too far from the similarly equipped OnePlus 5 and HTC U11. 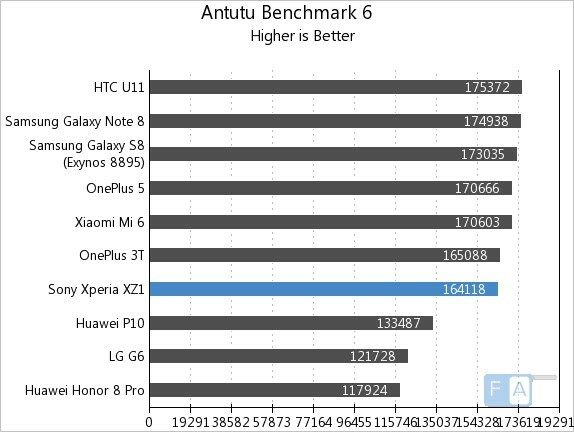 In the AnTuTu 6 Benchmark, the phone scores lesser than expected. It managed to rake in 164118 points. In Basemark OS II, the phone scores 2948 points. 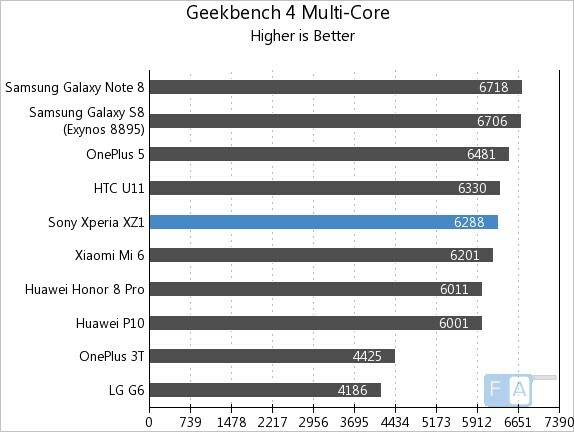 Finally, in Geekbench 4 Multi Core, the Xperia XZ1 scores 6288 points. Smaller than most of the competition, the display on Xperia XZ1 is nontheless very appealing to look at. It might lack the deep blacks or crazy contrast ratio of AMOLED screens but manages to be one of the best LCD panels around. Measuring 5.2 inches, it has a resolution of 1920 x 1080 pixels. The Xperia XZ1’s display employs technology from Sony’s television line up and it really helps make it look great. The brightness levels even outdoors are sufficient and other than the slight glare because of the reflective fascia, you won’t have much trouble viewing the screen. On the other hand, color accuracy is fantastic when you switch to sRGB Professional mode. You can always fall back to the ‘Vivid’ mode if you prefer oversaturated screens. Finally, being an HDR10 certified panel means that you can watch Netflix content in HDR. 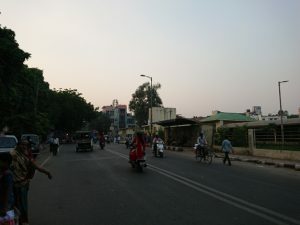 The camera capabilities on Sony flagships have always been a bone of contention for us. For a company that manufactures camera sensors for every other flagship, Sony sure has trouble producing consistent results on their own phones. 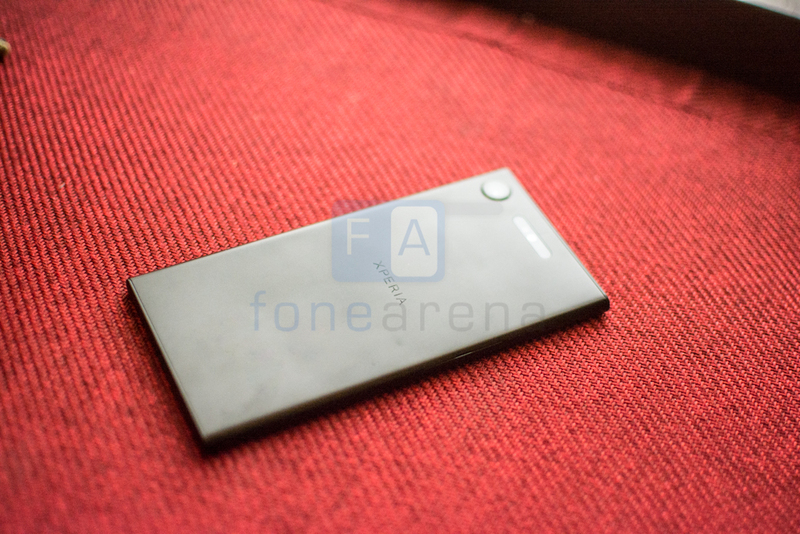 Anyways, the XZ1 is equipped with a single 19MP ‘Motion Eye’ camera that has an Exmor RS sensor. There’s a lot of tech onboard including 5 axis stabilization though unfortunately not of the optical variety. The camera still relies on electronic compensation using gyroscope data. 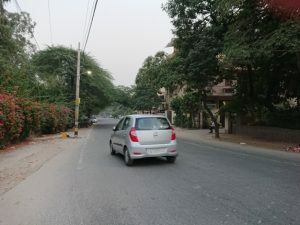 The sensor is similar to Sony’s last flagship but has a reduced resolution which allows for larger photosites and theoretically, better image quality. It also retains the 960FPS capture mode which is enabled by placing a RAM buffer in the camera module itself. 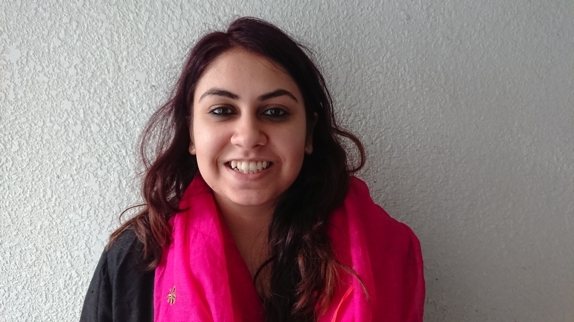 Anyways, let’s talk about the image quality. For better or worse, things haven’t changed too much from the XZ Premium. The Superior Auto mode is what Sony recommends that you use since it not only sets white balance, HDR but also the very useful Backlit mode. Images are far from terrible but lacking software optimization results in very visible noise suppression artifacts. Hey Sony, we’ve said this in the past as well, a bit of grain looks way better than splotchy artifacts! Sony has clearly done some work on white balance recognition since color rendition is much better. Contrast levels are good too though we weren’t very impressed by the dynamic range, more specifically the lack of it. Low light shots, however, are not very good at all. The lacking optical image stabilization really makes a difference here. Shots usually turn out blurry with a significant amount of splotchy noise reduction. The Xperia XZ1 is as well endowed as they come when it comes to connectivity options. There’s the expected 4G VoLTE, WiFi 802.11 ac (2.4GHz / 5GHz) MIMO and Bluetooth 5.0 support. There’s Dual SIM support too but you have to make do with a Hybrid SIM slot and you won’t be able to expand the built-in 64GB of storage should you choose to expand it. You also get GPS/ GLONASS, NFC. USB 3.1 Type-C is also supported for charging and data transfer. As always, Sony has placed added emphasis on the audio capabilities of the hardware. While the XZ1 doesn’t have anything like the Quad DAC hardware built into the LG G6 or V30, it does support both DSEE HX as well as LDAC. The LDAC codec is now part of Android 8.0 thanks to Sony’s benevolence but they’ve been doing this for a while now. The codec is supposed to let you hear almost lossless music on supported headphones. The codec, when supported at both ends, replaces SBC or AAC and transport much higher quality music. DSEE HX, on the other hand, is an upscaling algorithm which upsamples the lossy mp3 audio to something that approaches lossless. Let’s talk battery life. The 2,700 mAh unit on the Xperia XZ1 is one of the smallest amongst its peers. Color us surprised then that it punches way above its weight and delivers solid longevity. A full day of usage is easily doable and a day and a half wouldn’t be a stretch either. Never did during our testing phase did we run out of charge despite playing games, browsing social media, making calls and listening to a lot of music. The Snapdragon 835 chipset paired with the optimisations made in Android Oreo has certainly helped here. The battery is Quick Charge 3.0 compliant which means you can quickly top it off. 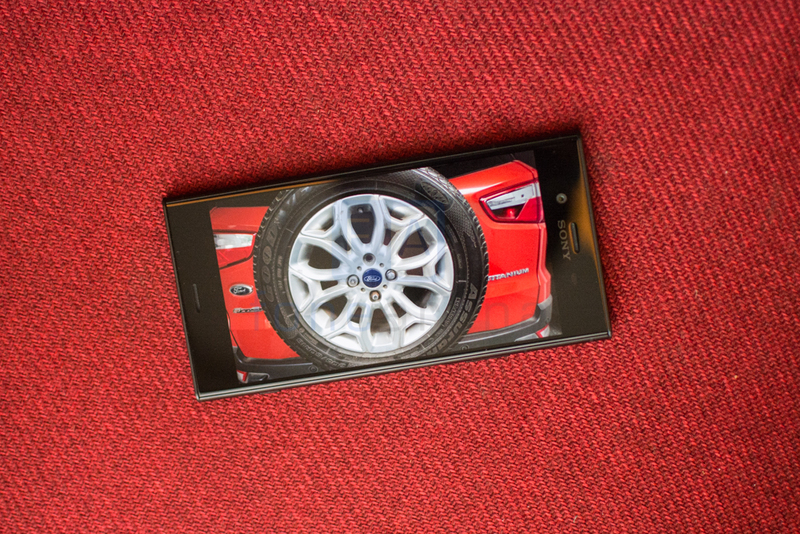 It also supports Qnovo Adaptive Charging technology which helps reduce battery wear and tear. Through a series of battery conditioning techniques and by monitoring the electrolytic cells, Sony says that the battery should last a few hundred cycles more than average. The lackluster camera performance pulls down the device and the large bezels don’t work in its favor either. We’ve heard that Sony is working on fixing the stale design over the next few quarters, it also has its work cut out on the camera front given the kind of push we are seeing from competing manufacturers. Priced at Rs. 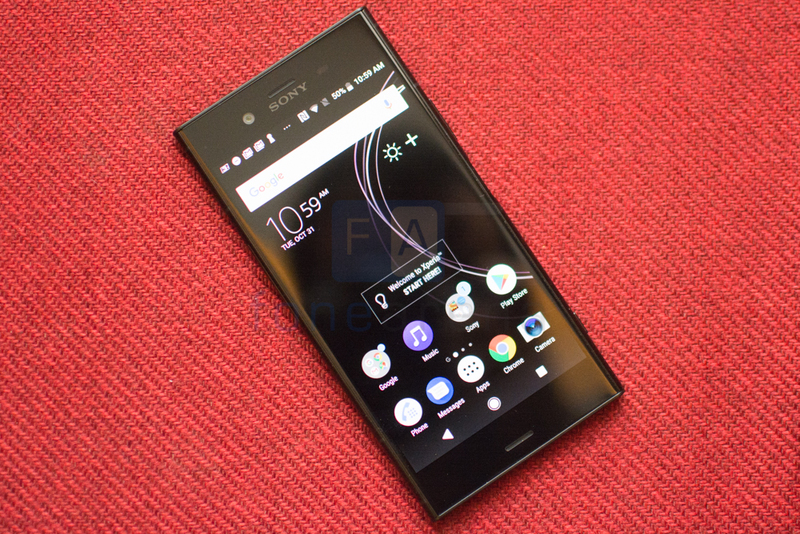 44,990, the Sony Xperia XZ1 is worth taking a look at but don’t forget the OnePlus 5, LG G6 and the Galaxy S8 that are within spitting distance on both sides of the spectrum and arguably offer more bang for the buck.